Portions of this review was previously published on Indie Voice Blog. Mitch Hayes is a folk/americana singer-songwriter from North Carolina who many feel is the natural successor to Leonard Cohen for his songs of social commentary. 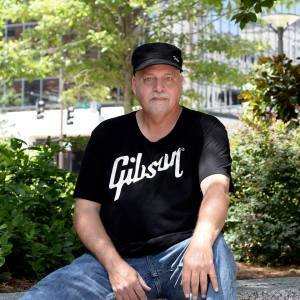 He is also a man of many talents and a cancer survivor, which has added an edge to his amazing voice that can still deliver a powerful message in song. This is the perfect album for your relaxation and meditation time, as it gives you perfect food for thought. So glad you survived your cancer scare, Mitch. The world needs more artists like you. For more info on Hayes, check out his website and Facebook pages, and subscribe to his YouTube channel. Speaking of YouTube, his most recent video for “All Fall Down” has already amassed more than 15,000 views in the first week after posting it to his Facebook page.